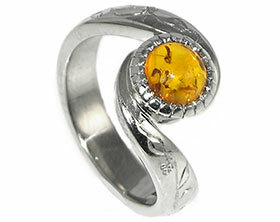 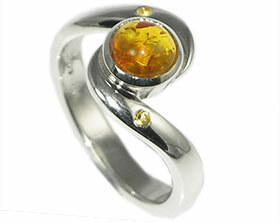 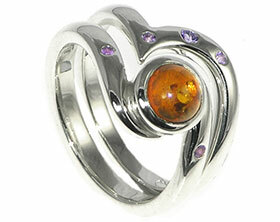 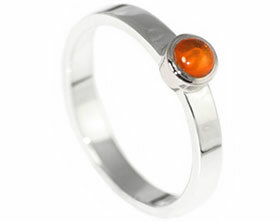 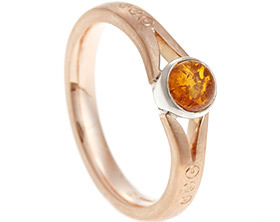 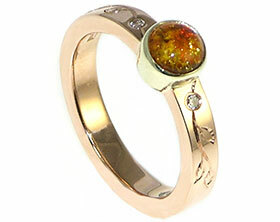 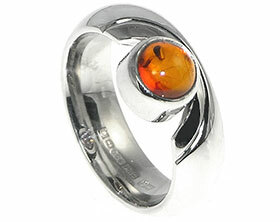 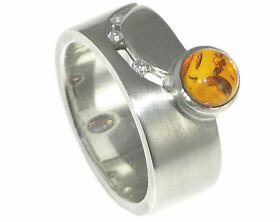 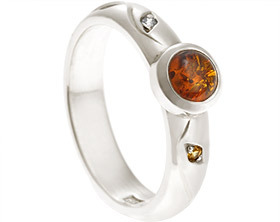 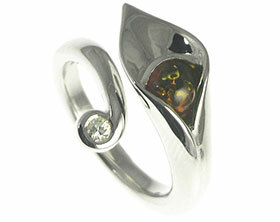 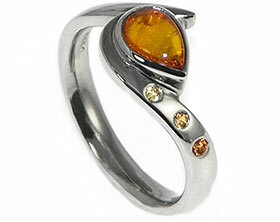 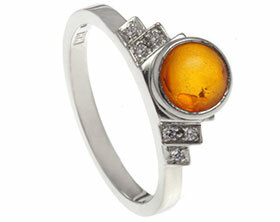 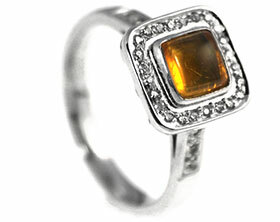 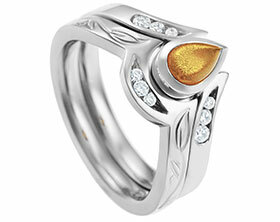 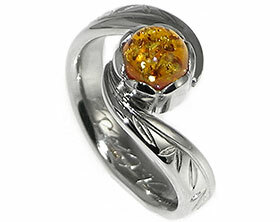 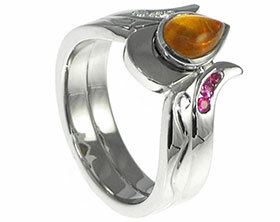 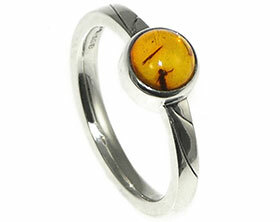 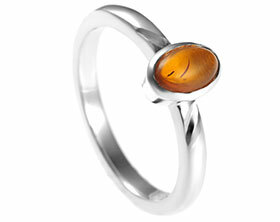 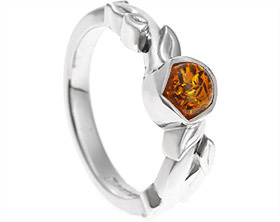 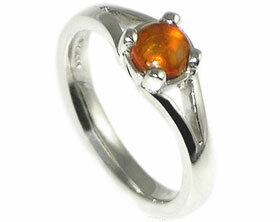 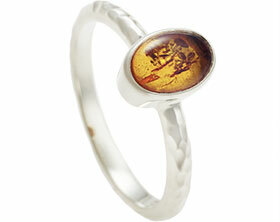 A bespoke 9ct white gold engagement ring with a 7x4mm oval cabochon cut amber. 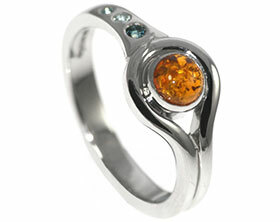 The dramatic twist overlay sweeps around the stone and is complemented by the curved engraved line which continues around the back of the ring. 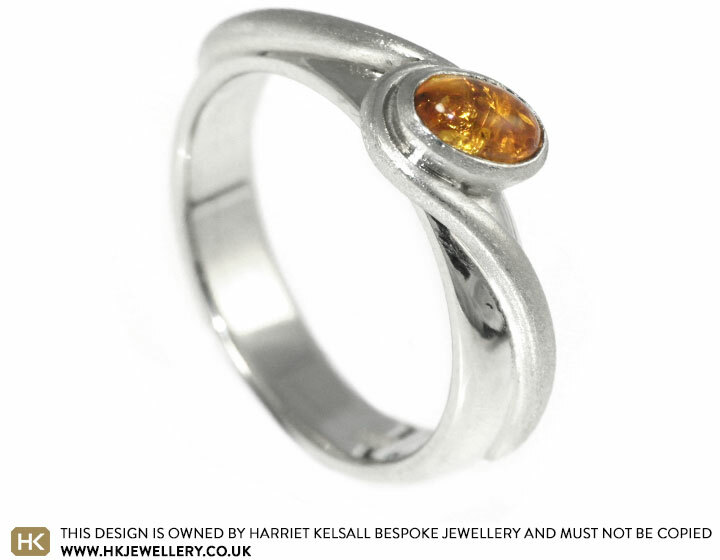 The 4mm wide shank has a curved D shape profile and a high shine polish which is contrasted with the tunstall finish of the overlay and setting.